Flower design does not have to be complicated or expensive. 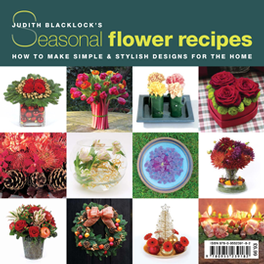 In this paperback book of seasonal flower recipes for the home, Judith Blacklock shows you, in her imitable style, how to make seasonal designs quickly and effectively and to give you the confidence to ensure success every time. The recipes show how to combine flowers with foliage, fruit, vegetables, colours and textures for special occasions throughout the year as well as for every day. * Stylish designs that are easy and inexpensive to recreate. Be the first person to tell us what you think about Judith Blacklocks Seasonal Flower Recipes and you'll save £2.50 on your next purchase!